It's infuriating, but stonewalling and the possibility of invoking the 5th can dissuade a prosecutor. 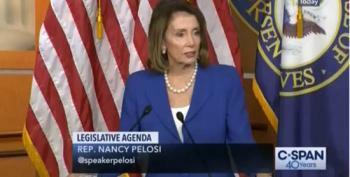 Nancy Pelosi is not impressed with the attacks on Adam Schiff from Trump and his House toadies. Everyone is rightfully upset that Mueller never interviewed Trump. Chuck Rosenberg has a possible explanation. 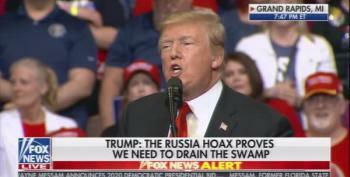 Trump used the bogus William Barr summary of the Mueller report to spew endless and profane attacks at the Democratic party to his rallygoers in Grand Rapids, Michigan, Thursday night. 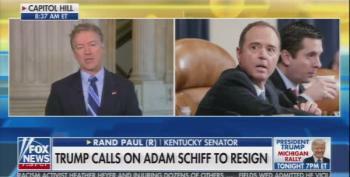 Even though Congressional Republicans investigated those investigating Trump and Russia in the FBI, Sen. Rand Paul tells "Fox and Friends" that he won't support releasing the Mueller report unless Obama era officials are qually investigated. 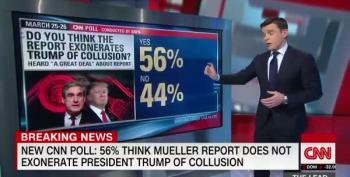 Majority of Americans believe their own eyes rather than Sean Hannity, go figure. 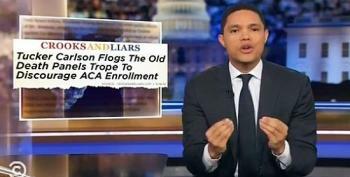 Trevor Noah exposed Fox News' most vociferous Trump supporters like Hannity, Tucker, Ingraham for being the real conspiracy theorists in the media and said without them, "Fox News would be a bunch of empty couches and a sexual harassment settlement!" 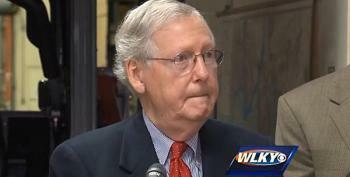 Mitch McConnell keeps up his Trump protection racket operation in place. 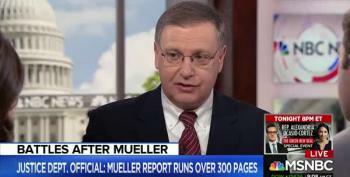 "DC’s reaction to Attorney General Bob Barr’s doctored summary of the Mueller report is annoyingly predictable."